The Bible has not only literally shaped the English language but we derive so many sayings, principles and even language from this book. For example, the Proverbs are chock full of sayings that even unbelievers in God live by. The common belief that "laughter is the best medicine" actually comes from the a verse in the Bible saying: "A cheerful heart is good medicine, but a crushed spirit dries up the bones (Proverbs 17:22)." Besides everyday vernacular, the Bible has shaped most of the culture of the western world. "Even if you're not a believer, if you claim to be somewhat intelligent, you really can't claim to have a basic understanding of Western civilization if you don't understand the Bible. It's truly that important and foundational to civilization and society. This is especially true of the New Testament. As an example, many expressions that we use in everyday language come from the Bible. This demonstrates how ingrained the Bible is into our everyday customs and our culture. 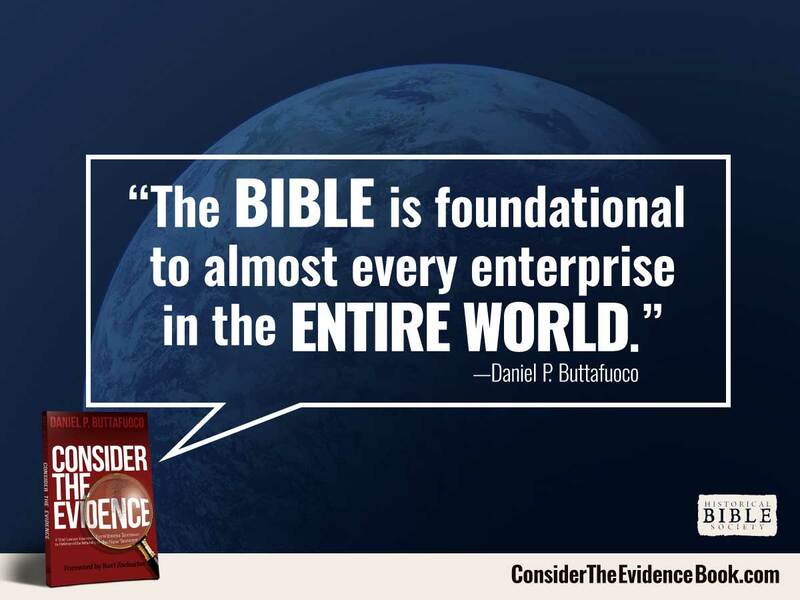 The Bible contains ideas that have literally shaped the Western world. Expressions include: 'Knocked off his high horse,' 'fight the good fight,' 'fly in the ointment,' 'drop in the bucket,' 'daily bread,' 'a labor of love,' 'thorn in the flesh,' 'wolf in sheep’s clothing,' 'my brother’s keeper,' 'an eye for an eye,' turn the other cheek,' 'old as the hills,' 'white as snow,' 'the skin of your teeth, eat, drink, and be merry' and 'cross to bear.'" There are many others.